Last week we discussed about taking a good history for a diabetic pet evaluation. The next step involves action – examining the pet in person. Part of the diabetic pet evaluation is the physical exam. The physical exam is undervalued by most of my veterinary clients. Just in the last week I noticed (when the pet owners had not noticed) that one pet’s leg was edematous and another pet had a slight facial nerve paralysis. Again, the pet owners had not noticed. Both were extremely smart but not trained to look for such things. Some abnormalities are subtle! Vets do physical exams all day long. It’s what we are trained to do! A good physical exam, with particular attention to common issues that can cause insulin resistance, is the next step when we think a pet’s diabetes is not regulated. This goes beyond if there has been weight loss. Even if there has been weight loss, if the pet is still chubby that can be a big source of insulin resistance. I often do a bit of math to estimate what the pet’s caloric requirement should be for the pet’s lean body weight. A proper body weight is always the goal. If the pet is too lean, it’s okay to increase the portions fed. Of course, you want to stick to the diet plan you’ve chosen for your pet with your family vet. 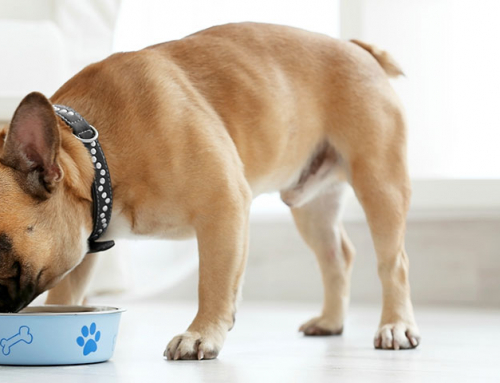 A simple adjustment to the portions (up or down) might help the pet’s diabetic regulation. And, remember that adjusting the portion size might require an adjustment in the insulin dosage. You’d be surprised how few clients really get good look into their pets’ mouths. An abscessed tooth may be obvious to a veterinarian. Or, it might be more subtle. There may be dental tartar covering a cavity! If so, clean the teeth and have dental X-rays done to look for possible dental abscesses. You’d be surprised at what we see on a dental X-ray that isn’t noticeable to the eye. If a blood profile with a urinalysis hasn’t been run recently and the pet isn’t regulated, I will run one. In particular, I run a urine culture on a sample collected by cystocentesis. That’s when we clean an area on the pet’s tummy and stick a needle directly into the urinary bladder. We know we’ve by-passed any bacteria from the external genetalia that way. Warm sugary urine is an inviting area for bacteria to colonize, but the urine of diabetic pet is often dilute so an infection might be missed on a regular urinalysis. Most blood profiles have pancreatic enzymes, but some pancreatic tests are more reliable for identifying pancreatitis. If a pet has already had a full profile in the last month or two, I will at least run a urine culture check for pancreatitis. Now, if a pet just ain’t doin’ right and we’ve looked in the history for possible causes and done what I’ve mentioned above, it might be time for X-rays or ultrasound. If we still find nothing and a pet isn’t controlled, we might try a different insulin. If I have a pet who has a finicky appetite, which is not the norm for a diabetic, I may try anti-nausea meds with an acid-blocker and perhaps even an appetite stimulant.